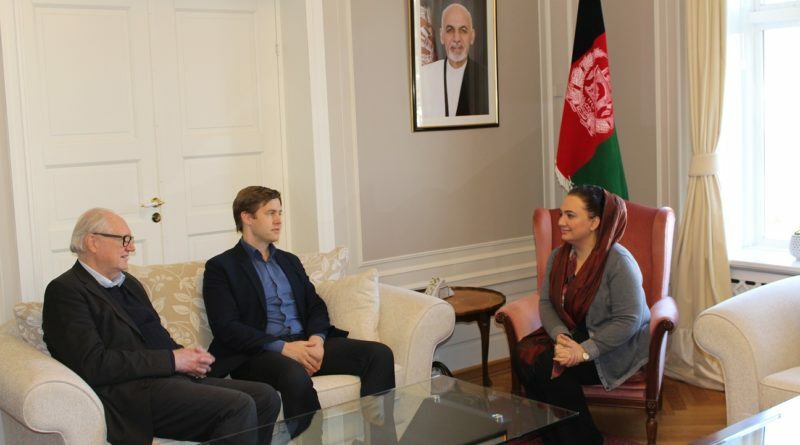 Ambassador Shukria Barakzai met with Mr. Amund Bjorsnes Executive Director Norwegian Institute of Philology and Professor Jens Braarvig. The discussion focused on educational collaboration with Afghan institutions, publishing of a Landey-book for the occasion of the 100th anniversary of the Afghan Independence Day on 19 August 2019, the work on linguistic atlas of Afghanistan, and Landey event at the University of Toronto, Canada. 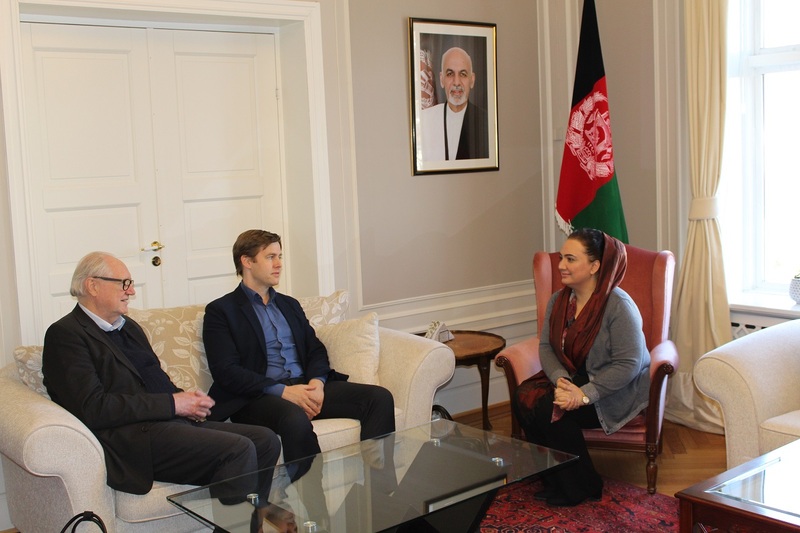 Ambassador Barakzai thanked Mr. Bjorsnes and Professor Braarvig for their work and wished for an expansion of Norwegian institutions academic collaboration with institutions in Afghanistan. Please visit https://www.ucl.ac.uk/global/news/2019/mar/ucl-and-university-toronto-host-celebration-afghan-womens-poetry for more information about Landey event in Canada.